The interior of your home is likely a reflection of your style, personality, and taste. You've probably decorated it with your favorite colors, chosen furniture you enjoy, and personalized each room to your liking. Can you say the same thing about the exterior of your home? Architectural metals are a way to elevate the outside of your home, just as you did on the inside. 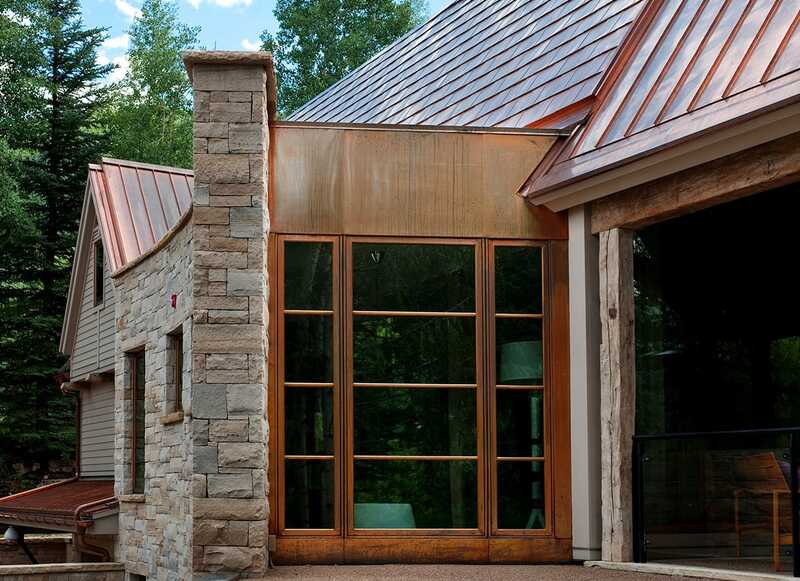 Check out the different ways you can improve your home’s exterior with architectural metals. Metal siding isn't just an added visual element; it's also an excellent defense mechanism for your home. Metal siding requires very little maintenance after it's installed. In areas of the country with high precipitation—including ice, snow, and rain—metal acts as a barrier against moisture-related issues like mold, rot, and fungus. Metal also deters insects because, unlike cellulose-based siding materials, insects can neither penetrate nor destroy it. Metal siding is fire-resistant, which makes it an ideal choice for regions that experience dry seasons or frequent lightning storms. Custom metal siding and cladding can be installed on new construction or retrofitted to your existing home. If you're an avid gardener or want your flowerbeds to be front and center on your home’s exterior, consider installing copper, stainless steel, or zinc planter boxes. Their naturally beautiful finishes age well and can be customized to suit your needs. Planters and window boxes are fabricated to your specifications, so in the end, you’ll have a unique focal point on the exterior of your home. If you enjoy entertaining outdoors, consider adding a metal fireplace or barbecue cover. Made-to-order covers provide the durability needed to keep your fire pit safe in all types of weather. Not only will this cover protect your equipment from rain or snow, but it will also add interest to your home's exterior. For homes with porches, consider adding detail with metal rail covers. Custom post caps will prevent your home’s wood detailing from rotting. These metal coverings will keep the structure of your railing protected and provide visual interest to your outdoor living area. Keep the rain out with a one-of-a-kind decorative chimney house. Chimney houses can be made from copper, stainless steel, or colored steel to complement the color of your roof and gutters. You'll love the way it creates a unique profile on your roof and adds a touch of charm to the architecture of your home. Welcome guests with a rustic hammered copper carapace around your front door. You can clad your entry doors, garage doors, and other panels with copper, stainless steel, or colored steel to complement your home’s existing features. Your neighbors will be envious of the design, and you'll appreciate the way it improves your exterior aesthetic. Metal louvers and air vents can be manufactured to suit all intake or exhaust openings. Each part is crafted with exceptional quality and service. Adding metal detailing to the exterior of your home will create visual interest while still serving a practical purpose. If you’re ready to improve your home’s exterior, call the professionals at Pacific Sheet Metal. Our metal crafters, artisans, and fabricators have the talent and creativity to help make your vision a reality. Start designing your home’s architectural metal exterior with the help of Pacific Sheet Metal.